Leovigildo "Leo" Miguel Giron was born in Bayambang a little barrio in the province of Pangasinan, Philippines on August 20, 1911. Young Giron first started his training in the Filipino arts because of the neighborhood children and bullies that would take advantage of him and others. Giron soon learned, however, that if he stood up to hem and made one of them cry, the rest would run away and leave him alone. All of Giron's early training was with family members. They would train under the mango tree late at night. Giron would first hold the lantern for the training until his father had asked the teacher to train young Giron. His training started in 1921 and lasted until 1926 until Giron would set sail on the USS President Lincoln for America. Giron landed in San Francisco in November 1926 and was picked up by his cousin and brought to Stockton, California. During this time Stockton, California had the largest population of Filipinos in American that it would earn the nickname "Little Manila". Young Giron would work in various areas in Stockton until in 1929 when he would move to Meridian, California to pick prunes. During this time he would meet a man by the name of Flaviano Vergara. Vergara was from the town of Santa Cruz in Ilocos Sur Luzon, Philippines. Vergara was the top student of Dalmacio Bergoina who defeated the great champion Santiago Toledo. Giron and Vergara would "play" deep in the orchards so no one would be able to watch the secret training of the deadly art of Arnis / Escrima. There training would last from 1929 until 1932. Vergara and Giron would meet again directly after the outbreak of World War II. They would train again for the last time from October 1942 until January 1943. In 1937 Giron was initiated into the Legionarios del Trabajo in America. The Legionarios del Trabajo is a fraternal order or lodge, they would be known as one of the most powerful and riches of any other Filipino lodge. This organization with membership at the time would top over 3,000 members, 86 men's lodges and 12 women's only lodges. On September 24, 1942 he was inducted into the United States Army and would be attached to the 2nd Filipino Infantry Regiment and would later be assigned to the famous 978th Signal Group and The Allied Intelligence Bureau. This was a select group of men that served as secret operatives for General Douglas Macarthur. Then Sergeant Leo Giron would be dropped behind enemy lines by submarine nearly one full year before any America Soldier would set foot on Philippine soil. It was there assignment to search out the enemy, extending lines of communication, securing vital weather data and obtaining military information and not to be detected by the enemy. Sergeant Giron lead a group of American and Philippine soldier's through the most hazardous conditions of Would War II deep in the jungles of the Philippines. Many encounters are documented in the United States Library of Congress in Washington DC. Because of his contributions during World War II Sergeant Giron would receive, The Bronze Star Medal, The Philippine Liberation Ribbon, The Asiatic Pacific Campaign Medal, The American Campaign Medal, the World War II Victory Medal and a letter of commendation ordered by the President of the United States of America. Giron would return to civilian life as World War II hero and a part of America's Greatest Generation. 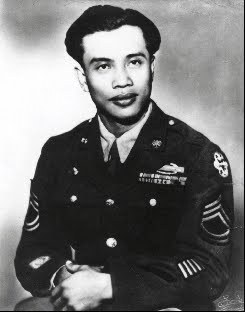 But, without anyone knowing he would return too live a new and normal life in America as a Filipino American, not pondering on his heroics during the War. After the war Giron would return to Stockton, California to raise a family. Because of a person back East that had killed several nursing students, most of them Filipino women this would enrage Giron that only if they would know self defense they could have try to subdue this maniac. So in 1968 Leo Giron would open his first licensed Bahala Na club in Tracy California. In 1970 Grand Master Leo M. Giron and wife Alberta would move to Stockton along with his Bahala Na Club. And in 1973 the first student to graduate from his system would be Stockton born and World Renown Martial Artist Dan Inosanto. Along with martial art greats such as Dentoy Revillar, Richard Bustillo and Ted Lucaylucay. In 1979 the first meeting was called to order of the Bahala Na Filipino Martial Arts Association. Grand Master Giron was the founder and leader of this Association that is governed by a Constitution and by laws. 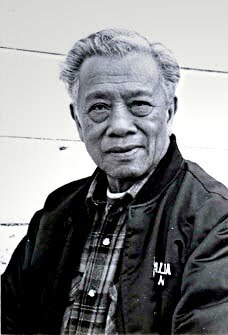 Grand Master Giron's contributions to the Filipino Martial Arts in general were enormous. He was known as the Father of Larga Mano in America. A World War II veteran that knew how to use his weapon and will be always remembered as a great man, a humble man, with dignity, love in his heart, a living legend and martial art Icon. He was a super star, he was our star and he was our shinning light of life. He gave us all the liberty of freedom to learn of life and the arts, Equality in having the necessary ability and strength, Fraternity in which the same beliefs in work along with fellowship and family. Grand Master Giron left us with a legacy that we must all carry on with all of those that would like to share in his system.